My name is Rebecca, and I am a strawberry addict. No really. I am. I have memories of going to the grocery store with my mom and getting little green baskets of strawberries. (Does anyone else remember the classic little basket?) Anyways, she would have to get an extra basket because I would sit on the car ride home and eat an entire basket! No joke. Straight to my dome. My childhood was amazing like that. We are officially in June, which means full swing strawberry season in California! I think strawberries are perfect just as they are and I could still eat a fresh basket of them straight up. However, this recipe takes them to a whole other level. I actually made this for a pool party we went to at a friend’s house. Thought it would be something fun and different. We destroyed the whole bowl of dip. No shame. We ran out of berries and were dipping anything else we could find into it. Graham crackers, pineapple, you name it. Still amazing! Try it. You will love it too. Place the brown sugar and cream cheese in a medium bowl and beat with an electric mixer until smooth. Add in the sour cream, vanilla, and Kahlua and continue mixing until nice and smooth. Fold in the Cool Whip until well incorporated. When ready to serve sprinkle with a little brown sugar and serve with strawberries or any other favorite fruit. 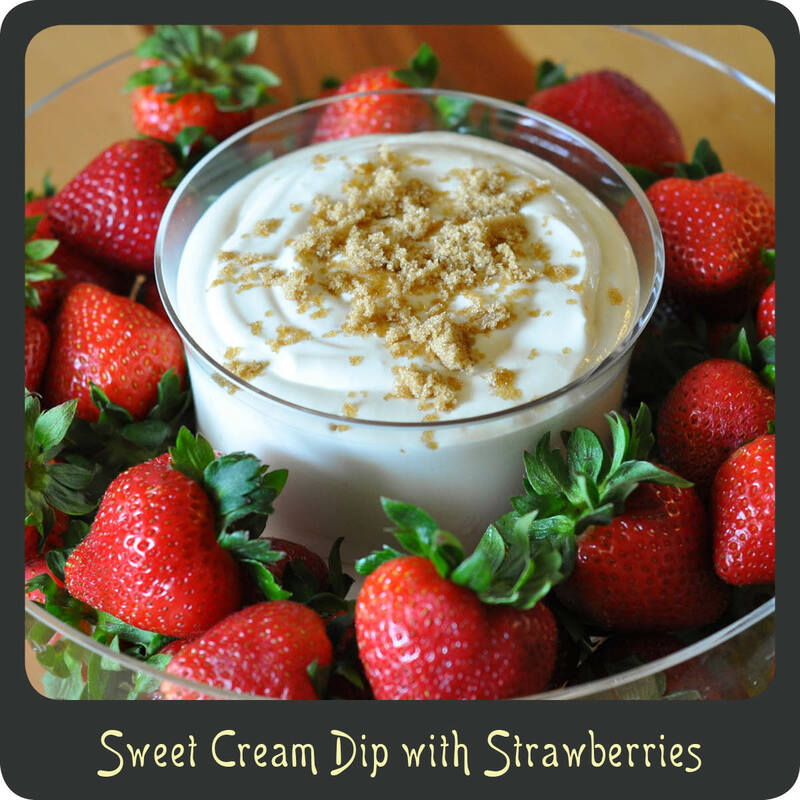 If you like this recipe then I highly recommend you check out these other awesome dessert dips! Interesting! I like the kahlua addition!! !